Although it's been nearly three months since Nintendo first launched the NES Classic Edition and weeks since the height of the holiday shopping season, the nostalgia-inducing video game console has sadly remained sold out across the board. Well, it looks like that might be changing, because GameStop announced Tuesday that the mini system is finally back in stock at its stores. 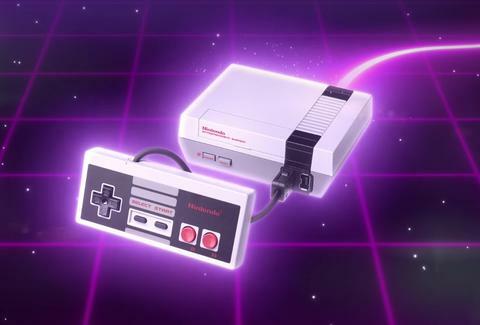 Starting Tuesday, GameStop will have a "limited number" of NES Classic Editions in stock at its brick-and-mortar stores across the country, according to a GameStop spokesperson. Unfortunately, the gaming retailer will not make the new stock of the devices available for purchase online, so it recommends that you check your local store -- you know, in case you're not already doing this. "GameStop has NES Classic Edition consoles coming to its U.S. stores this week starting today," the spokesperson said via email. "The limited number of units will be available for purchase upon arrival, while supplies last and one per customer. ... For more information about the NES Classic and for availability at stores in your area, please contact your nearest GameStop location." Basically, this could be your best shot so far this year at finally nabbing the $60 retro game system, which comes preprogrammed with 30 classic Nintendo games, without having to pay double or more for one from a third-party seller online. Best of luck out there. Tony Merevick is Cities News Editor at Thrillist and somehow managed to buy one before Christmas. Send news tips to news@thrillist.com and follow him on Twitter @tonymerevick.